Network lag and multiplayer connection issues are common. See Network for fixes. 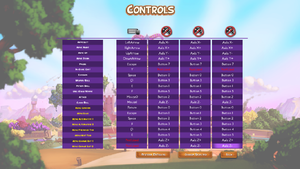 Lack of any real video options, and game generally performs poorly. Graphics options in launcher only. 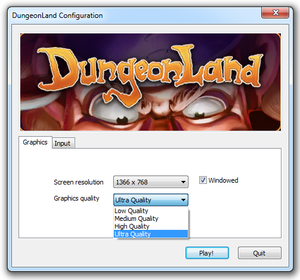 Launching in windowed mode automatically stretches to screen to make a fullscreen window, no matter the resolution. Video settings are not saved, and are reset every time game is launched. Up to 3 controllers supported, with mix of keyboard/mouse and controller available. ↑ 2.0 2.1 File/folder structure within this directory reflects the path(s) listed for Windows and/or Steam game data (use Wine regedit to access Windows registry paths). Games with Steam Cloud support may store data in ~/.steam/steam/userdata/<user-id>/218130/ in addition to or instead of this directory. The app ID (218130) may differ in some cases. Treat backslashes as forward slashes. See the glossary page for details.